In the latest and official teaser video of the Samsung Galaxy S10, Samsung playfully shows how the Samsung Galaxy S series has been faring for the last nine years. Perhaps the most consistent and therefore popular series in the whole mobile industry is the Samsung's Galaxy S series. Since its first iteration in 2010, this line of high-end, Android-powered mobile devices has constantly updated its offerings one after another, with each more efficient and ground-breaking than the former. This year, there's a reason as to why Samsung remains unbothered being the best-selling smartphone in the world. And so, it's only vital that the upcoming Samsung Galaxy S10's official teaser video, which surfaced just recently, takes on the series' impressive outing for almost 10 years. 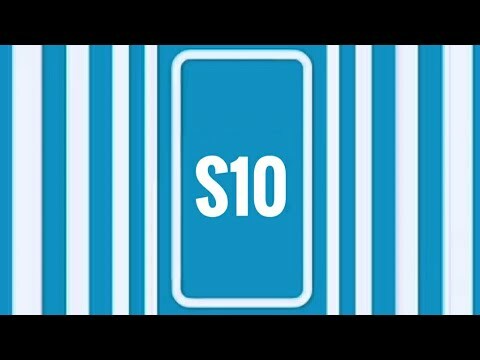 Video Teaser Samsung Galaxy S10 - "10 years of Waiting"
The teaser video which emerged online a few days ago, originally appeared on Weibo and was posted by Samsung. The latest Samsung Galaxy S10 teaser video coolly references the popular 10-year challenge meme, which ironically coincides with the series' 10th year anniversary this 2019. In the teaser video, Samsung playfully portrays their evolution over nine years from the first Galaxy S phone to the latest Galaxy S9. At the end of the clip, the South Korean smartphone manufacturer teases its fans with what appears to be a hint that its upcoming flagship series will definitely be debuting in February. It's already been tipped heavily that Samsung is about to unveil their range of Samsung Galaxy S10 variants on February 20 at a press event in San Francisco. The Samsung Galaxy S10, being the smartphone that will coincide with Samsung's 10 year anniversary, will naturally boast tons of top-grade features. Some of these features are the punch-hole cameras, in-display fingerprint scanners, 5G networks, AI hardware, and more beefed-up battery offerings. The Samsung Galaxy S10 variants are also speculated to come with a triple-camera setup, a first for the series. Another feature that is said to redefine the competition is the re-introduction of the Infinity-O display, which already debuted on the Samsung Galaxy A8s. Alongside the vanilla Samsung Galaxy S10, Samsung is also expected to release the Samsung Galaxy S10+, and the new variant Samsung Galaxy S10E which is said to be the Lite version.